Exude luxurious comfort this season with the versatile Oska Ilexa jumper, ideal for both everyday and evening looks. 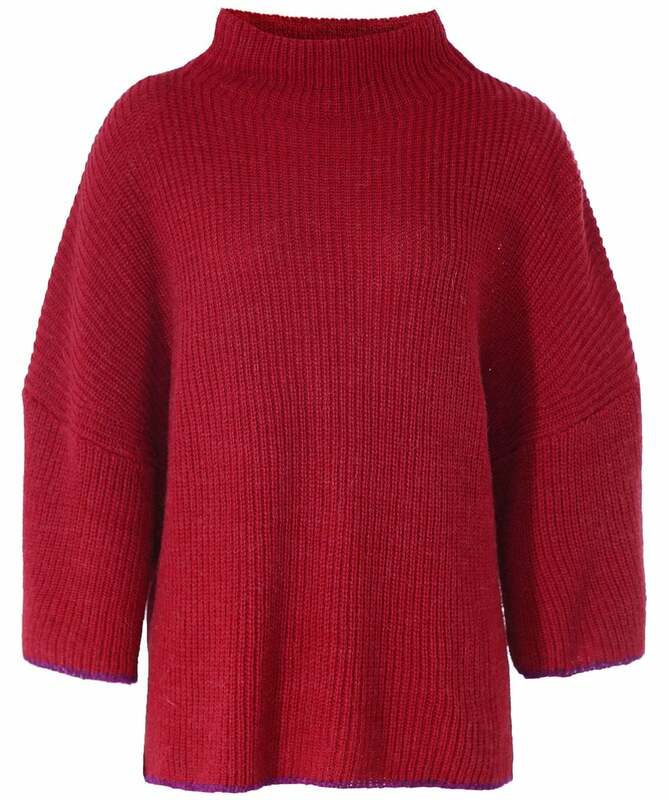 Beautifully crafted from a super soft alpaca wool blend, the knitted jumper features a relaxed mock neck, dropped shoulders and wide low-set sleeves, whilst being cut to a boxy fit without compromising a feminine silhouette. Complete with contrasting trim on the cuffs and hem, providing a dynamic finishing touch.